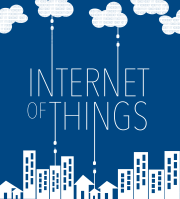 This week’s show is all about Microsoft’s new IoT security product, Azure Sphere. Kevin and I start with that, before talking about a new checklist from the Online Trust Alliance explaining how to secure your enterprise IoT gear. We then discuss acquisitions such as Nice buying a 75% stake in home security startup abode, Lutron buying professional lighting company Ketra, and the possibility that Google might acquire Nokia’s health assets. In news bits, we talk about August’s new unlocking powers, Twilio’s new SIM offering, smart pet transport and VMware’s new lab setting for its IoT software. Kevin shares his thoughts on HomeKit sensors from Fibaro and we answer a question about doorbells. 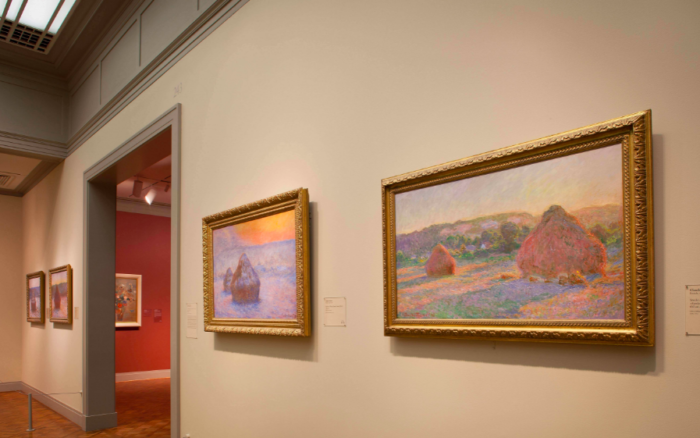 The Art Institute of Chicago uses Ketra’s lighting. Ketra was recently acquired by Lutron. Image courtesy of Ketra. Our guest this week is Galen Hunt from Microsoft, who has been working on the Azure Sphere product for the last four years. He shares why Microsoft attacked IoT security with a hardware, OS and cloud product and shared how far Redmond is willing to go on openness. He also talked about the revenue model, support life and other practical aspects. You’ll walk away from this one a lot smarter. Microsoft plans to spend $5 billion on the internet of things, and it’s more than the usual shell game that big firms play with these sorts of announcements. We discuss its plans on this week’s podcast. We also talk about Qualcomm’s new vision chips for edge devices, what it means that apps are disappearing from the Apple Watch and Kevin’s thoughts on getting Alexa or Google to talk to you. 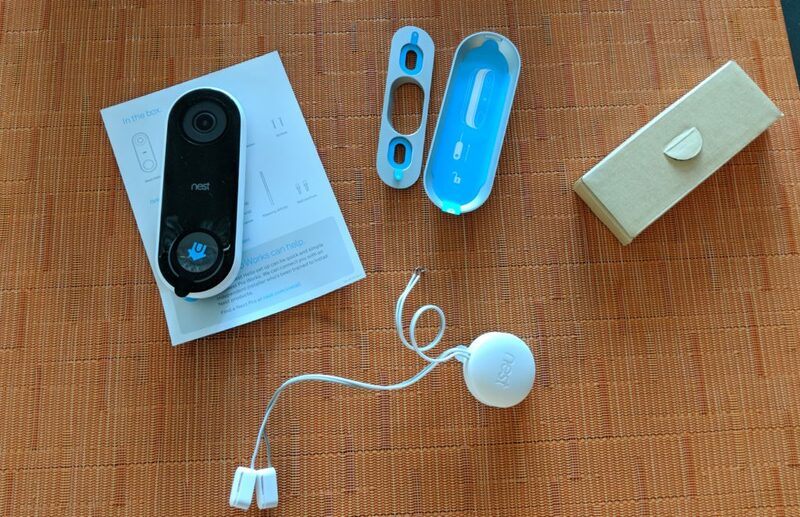 Comcast shared its vision and new features for Stringify, August is working with SimpliSafe, there’s an old UPnP exploit hitting the IoT and I dumped a gadget for poor performance. I review the Nest doorbell before we answer a question on Z-wave and ZigBee for a listener. My Nest Hello fresh out of the box. This week’s guest is Poppy Crum, chief scientist at Dolby Laboratories, who came on the show as part of an IEEE event at SXSW last month. We talk about where hearables are today, what’s changing and some of the cool things we can look forward to. I suggest a mute button for people you dislike, which Crum admits is possible. We also dig into the things that kill your hearing, and how we perceive sound. You may never take an aspirin again. Listen and learn, y’all. The tech titans are feuding again, and this time it means you can no longer buy Google’s Nest gear on Amazon’s online store. Kevin and I dissect the fight and speculate where it could lead. We also hit on funding for Ecobee, Alexa’s creepy laugh, and I ponder buying Delta’s pricey new Alexa-enabled faucet. Kevin shares his thoughts on the Raven dashboard camera, a new security camera standards effort and smart dorm rooms at Arizona State University. I talk about a new Wi-Fi feature that’s on the long-term horizon, and we answer a user question about lights and Google Home. 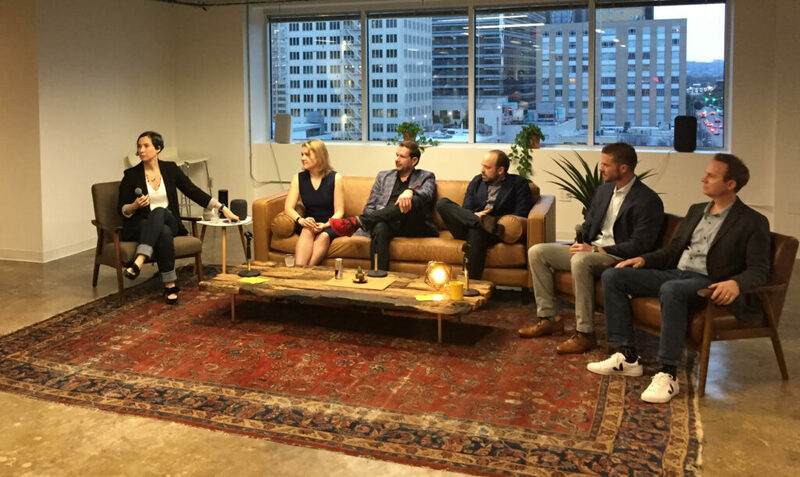 This week’s guest shares exclusive details of Allegion’s new, $50 million venture capital fund aimed at the safety and security startups combining tech and hardware. Rob Martens, futurist and president of Allegion Ventures, comes on the show to talk about where he wants to invest, how he sees consumer IoT and what it means that Amazon is getting deeper into the smart home sector. Allegion, through Schlage, is a sponsor of the podcast. Hope you enjoy the show. What comes next in Google and amazon’s fight? At CES I made the decision to traumatize my family and swap out the Amazon Echo for the Google Home despite Wi-Fi challenges. We kick off this week’s show explaining why, and discussing some new tricks the Home has. From there, we hit the partnership between Maersk and IBM to create a digitized supply chain using the blockchain. Then we talk about a startup that might help with that effort. Add in news bits ranging from BMW acquiring ParkMobile to a new low power wide area network module that can last 15 years, and we round out the first half of the show. We also answer a listener question about radiation from IoT devices. 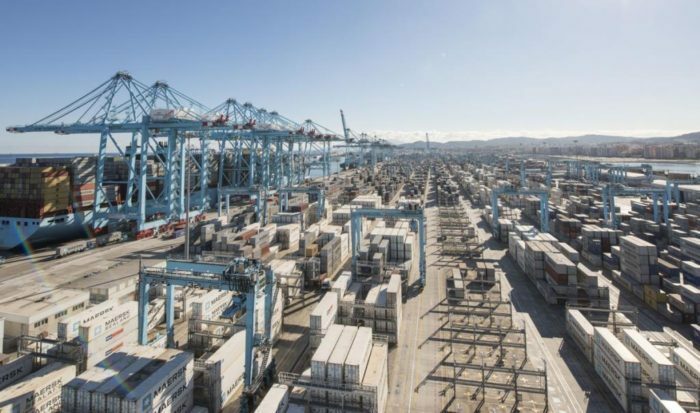 Port of Algeciras, Spain. Image courtesy of Maersk. Our guest takes us back to the topic of IoT networks and the future 5G holds for the internet of things. Chetan Sharma is the founder of Chetan Sharma Consulting, and is a widely respected telecom analyst. He talks about what networks are likely to succeed and why, and then also digs into his thoughts on how we should rethink competition and M&A in the digital economy. He also asks if it’s too late to regulate anticompetitive data practices in the U.S. I hope you enjoy the show. Who’s buying an Echo Show? This week Kevin and I share our thoughts on Amazon’s latest device, which adds a screen to the Echo, video calling and more. We also talk about Apple buying Beddit presumably for sleep data, a new smart home product with a DARPA and Playground Studios pedigree and the industrial internet. Plus, we throw in a discussion on the economics of serverless computing as part of the launch of a new product from Yonomi. The Echo Show has a 7-inch screen. And Alexa! We have three guests this week. The number of our guests is three. (Props to all who read that as a Monty Python sketch.) 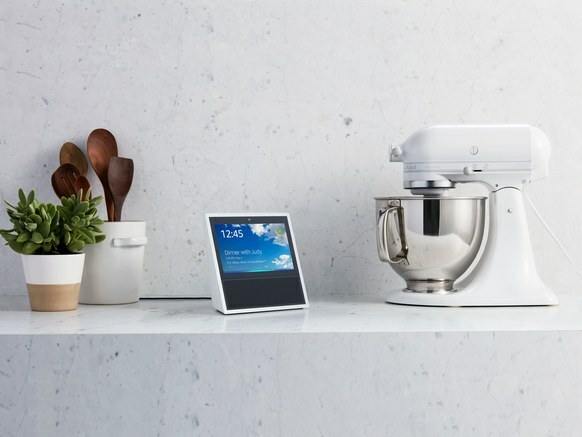 We’re getting three different perspectives on the Echo Show, with the first from Mike Wolf, a smart home analyst and editor of The Spoon who discusses it as a kitchen device. Then we discuss design and the way we will interact with the smart home with Mark Rolston of argo design, and we finish with Jonathan Frankel, the CEO of Nucleus, which just saw its device replicated in Amazon’s new Echo Show. You’ll learn a bunch! Will Kevin buy the Amazon Show? This week’s show deals with recurring themes such as whether or not you should trust the cloud, device lifespan, the Amazon Alexa platform and more lighting than a Times Square billboard. Our guest this week is Mike Pessina, the co-CEO of Lutron. He shares his recipes for great lighting (at the very end) and talks about the role of Lutron’s proprietary wireless protocol for lighting control in a world that is rapidly embracing Wi-Fi and Bluetooth. Before we learn about Lutron, Kevin Tofel and I discuss the news that Nest plans to shut down all Revolv smart home hub devices that are in the field, turning the $299 device into a hunk of metal and plastic scrap. 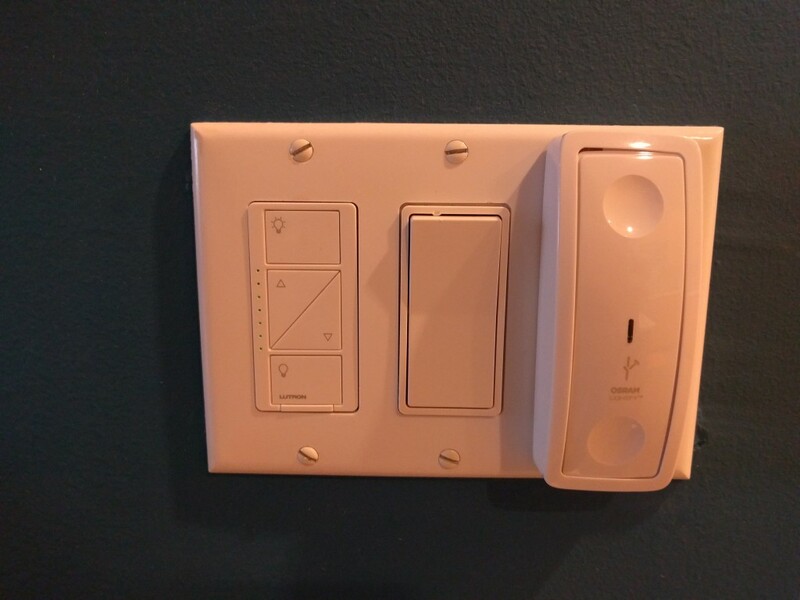 A Lutron Caseta dimmer switch (left) installed near the Osram Lightify wireless dimmer switch (right). A regular rocker switch is in the middle. While Revolv sold fewer than 10,000 units, those who own one are upset. We came up with a few suggestions that might help other connected device companies avoid alienating their users in case of failure or a sale. On the brighter side, Amazon’s Alexa platform is gaining new smarts, with the Smart Home API now available to anyone. We also tell you how to control your TV with Alexa and review the Amazon Dot. This week you also get a second review, of the Osram Lightify dimmer switch, which renters and folks who aren’t keen on replacing their wired switches will like. And once again, we ask that you take our survey if you have a chance. The Revolv fiasco is bad for the smart home. Where did you put your Amazon Dot? Get Alexa to turn on your TV with Yonomi. Who should buy this $30 Osram dimmer switch?